NEW YORK, NY—Fortuna’s highly anticipated three-part winter auction series took place on December 6-7, 2018, achieving a total sale revenue of around $4 million USD. The auctions offered an exemplary collection of jewelry and watches from the most prestigious makers in their craft, including Cartier, Van Cleef & Arpels, Tiffany & Co., Rolex, and Omega. Highlighting Fortuna’s first sale of the season, Session One: Magnificent Jewels, was an exquisite 3.05ct Fancy Intense Blue diamond ring. Naturally occurring blue diamonds are found in less than 0.02% of all diamonds mined and are one of the rarest gemstones in the world. 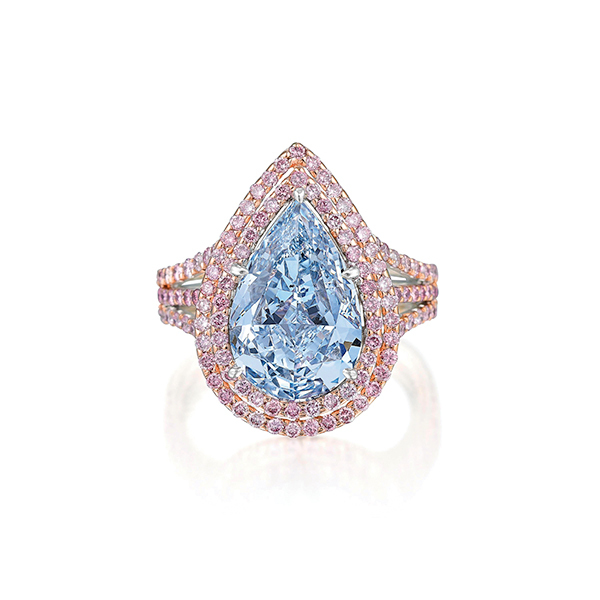 This particular blue diamond ring was consigned by an important Asian collector, and exhibited a gorgeous and vibrant blue hue that is rarely seen, even among blue diamonds. 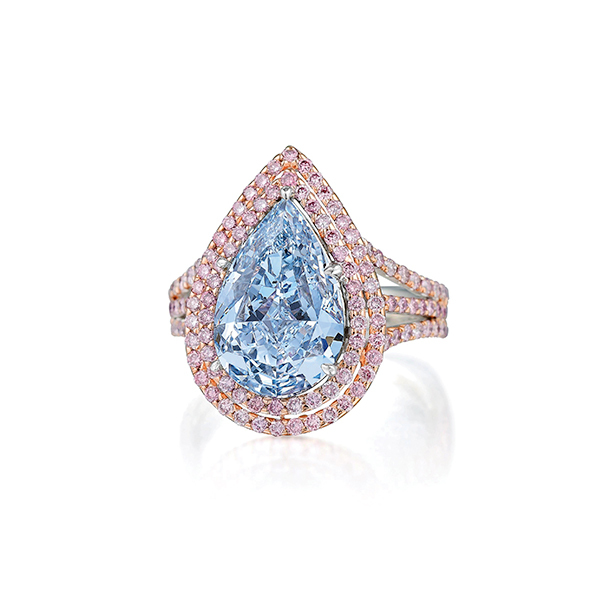 After a round of tense bidding that had the auction floor buzzing with excitement, the ring achieved $1,395,000, selling to a phone bidder. In addition to colored diamonds, Magnificent Jewels also featured an exquisite assortment of rare estate jewels and signed pieces spanning many historical style periods. 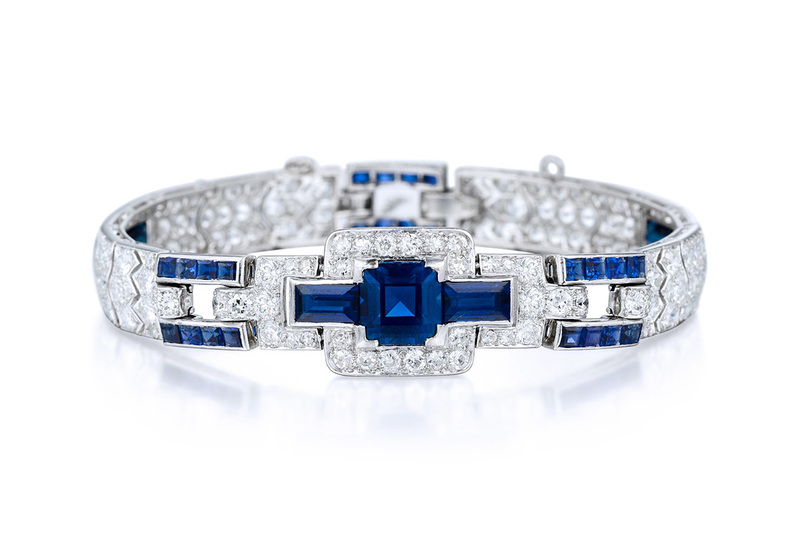 Of the many jewelry highlights, a stunning Art Deco Cartier sapphire and diamond bracelet truly evoked the classic glamour that is characteristic of the Roaring Twenties era. The piece achieved $76,800 USD against a pre-sale estimate of $60,000-$90,000. 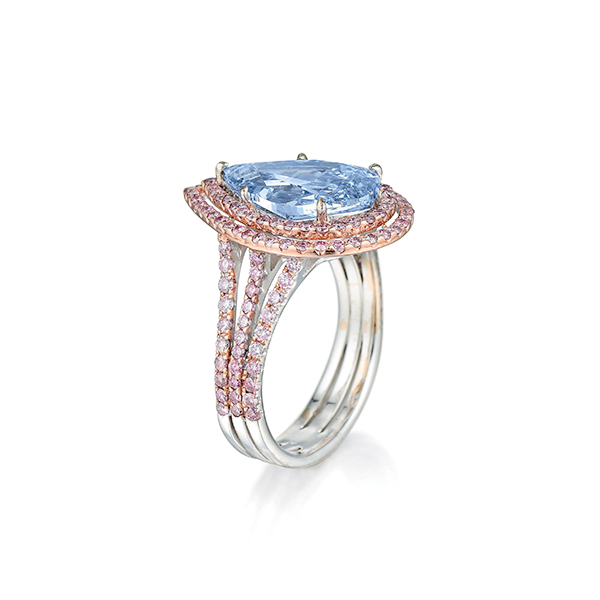 Another rare piece of the sale was a René Boivin ring, featuring a large Old-European cut diamond. The French design house of René Boivin was known to create some of the most original and modern sculptural pieces of the time, setting themselves apart from the typical aesthetic that characterized jewelry of the 1930s and 1940s. The collectability of René Boivin jewelry continues to grow over time, as demonstrated by this particular piece which achieved $137,500 USD. Fortuna has been particularly successful with period pieces originating from various style eras such as Victorian, Art Deco, Art Nouveau, Edwardian, and Retro. Of all period pieces offered, December Magnificent Jewels achieved an 83% sell-through rate by value, with numerous lots hammering for prices far past their starting bids, illustrating that antique jewelry continues to be a highly covetable asset in the market. Session Two: Important Watches offered an eclectic mix of contemporary and vintage watches that fostered competitive bidding from seasoned collectors across Europe, Asia and the Americas. 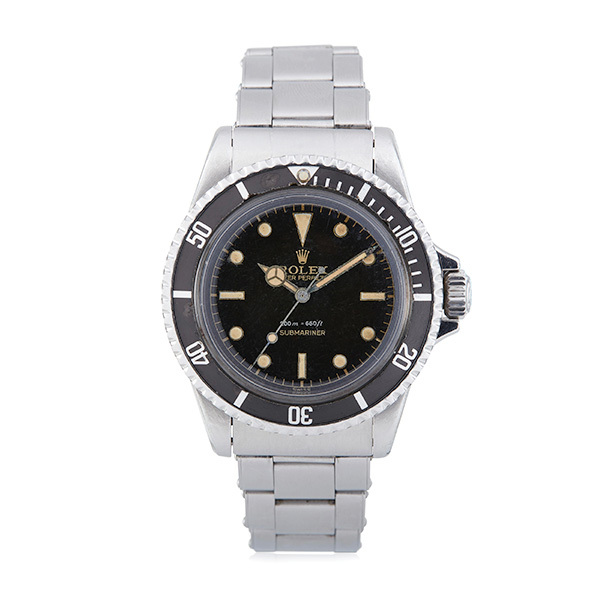 The sale was led by an important Rolex Submariner Ref. 5512 with square crown guards, representing the evolution of the modern Submariner, one of the most recognized watches worn today. The reference 5512 with square crown guards was launched in 1959 to replace earlier models without crown guards, as a way of protecting the crown from impact that could result in water damage to the watch. It is thought that less than 100 examples of the Submariner with square crown guards were made, with only 30 pieces known to the market. This rare vintage timepiece achieved $93,750. 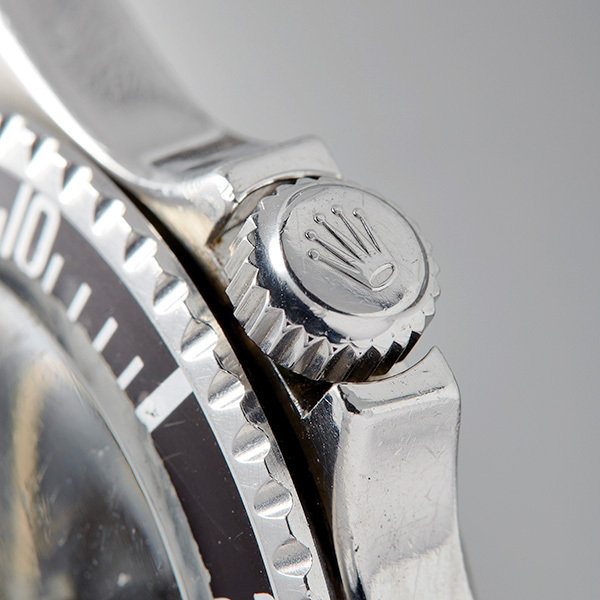 Roughly a quarter of the lots were vintage Rolex timepieces, once again distinguishing Fortuna as the collector’s prime source for rare Rolex finds. The Rolex watches achieved a nearly 80% sell-through rate, continuing on the success of Fortuna’s last two watch auctions which each featured a highly sought-after reference 6239 Daytona chronograph with a Paul Newman exotic dial. 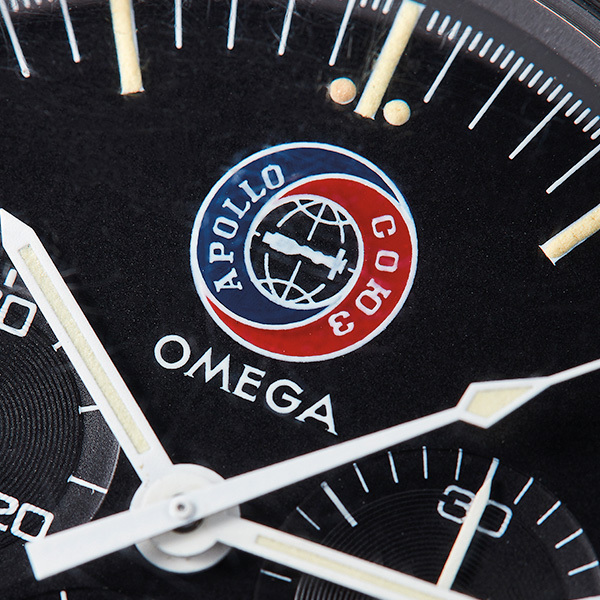 Among other vintage watches also rich in history, an exceedingly rare 1976 Omega Speedmaster Apollo-Soyuz was the subject of contentious bidding. 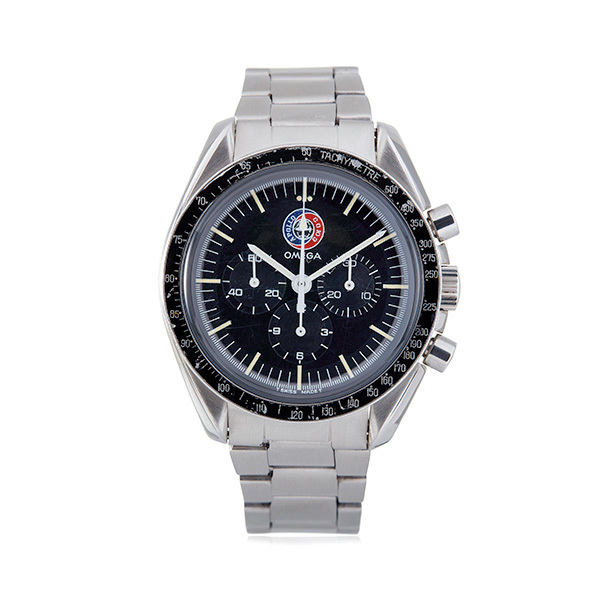 One of only 500 timepieces made, the 1976 Omega Speedmaster Apollo-Soyuz commemorates the 1975 docking between the American Apollo and the Soviet Soyuz spacecrafts, a historic moment of thawing of US-Soviet relations during the Cold War. The watch came directly to market from its original owner, who purchased it in France on July 27, 1978. Complete with original receipts, documentation, and service replacement parts, the watch seems almost trapped in time, capturing the excitement of shifting global politics that characterized the late 1970s. A perfect collector’s item, the watch achieved $40,625 USD against a pre-sale estimate of $15,000-$25,000 USD. Omega watches also performed exceptionally well as a category in Fortuna’s Important Watches auction with a sell-through rate of 80.63% by value. As a whole, the Important Watches sale achieved over $600,000 USD in revenue with an impressive sell-through rate of more than 76%, by value. Jeff Binstock, Fortuna’s Chief Operating Officer, expressed optimism for what Fortuna will achieve in the watch industry in the coming years. “Fortuna’s watch department is seeing unprecedented growth, and we already have some exceptional timepieces lined up for next year. What is most exciting, however, is the response we have seen from the watch collecting community. From our previews to watch events, they have shown very strong support. We expect the exponential growth to continue,” said Mr. Binstock. In 2016 Fortuna embarked on a mission to revolutionize an industry. In 2017, Fortuna introduced the world to a new category of luxury auctions with the announcement of the Galleria Auctions, and in early 2018 Fortuna hosted a monumental single-owner estate auction for the late Bo Legendre, which achieved an incredible 100% sell-through and made Fortuna the talk of the industry. In 2018, Fortuna also hosted its first ever watch auctions, breaking a world record and creating a new space for watch collectors and enthusiasts to congregate and share their passion with one another. With a packed sale schedule for 2019, Fortuna is actively seeking watch and jewelry consignments. For more information about consigning, please call +1 212-389-9040 to speak with a specialist or click here to request a valuation via our web form. As John Saxon, Fortuna’s Chairman and Chief Executive Officer confirms, Fortuna plans to continue building upon this strong momentum in 2019 with a continued pursuit of the core mission. “At the core, our mission to make the world a better place and to achieve great success for everyone that join us on this journey—to bring truth and transparency to industries that lack it; to remove unnecessary roadblocks and speed bumps in flawed business models; to help small businesses grow and better serve their local communities; and to innovate and revolutionize the way that business is done worldwide by continuing to develop our global platform, connecting millions of people to one another. Each year we make great progress forward in the ongoing journey we have embarked on and each year more and more people join us on that journey. We are working on some very exciting innovations right now and have some big announcements coming early next year. We are grateful to those that have chosen to join the Fortuna Family and happy to see them succeed as a result,” said Mr. Saxon. Please note: All prices achieved include buyer’s premiums.